This 10ft x 8ft Windowless Overlap Apex Shed is an ideal solution for buyers who want a large and secure storage space. To prevent the chances of a break in, this garden building does not feature any windows. The theory behind this is that there is less likely to be a break in if the contents of the shed aren’t on show to the general public. 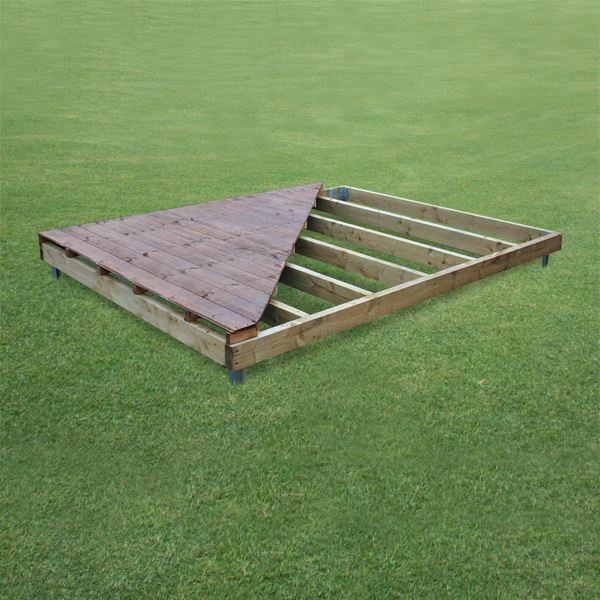 The floor is made from 9mm thick solid sheet OSB, which is ideal for storing any larger garden items, the roof has been constructed from the same material to form part of the rigid base. 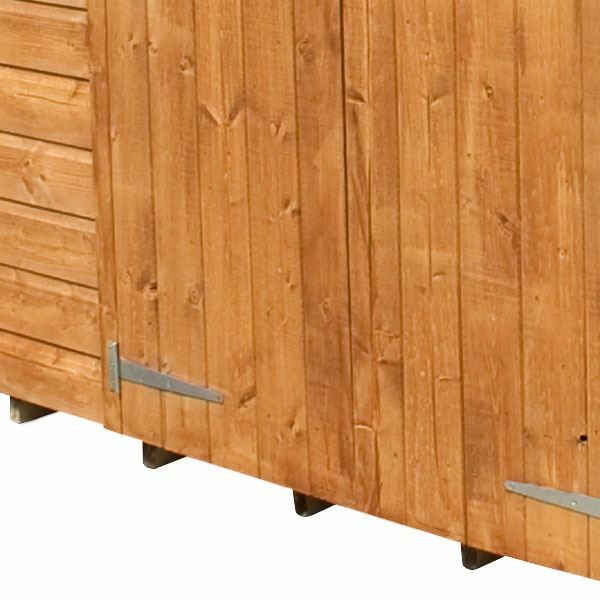 The double door design makes it easier to store bigger items, ideal if you own garden equipment such as a large lawnmower. The 28mm x 28mm wooden frame has been designed to form a strong support for the 8mm thick overlap cladding, the result is a robust structure that will stand the test of time. The traditional apex style roof provides protection against the weather by draining away rain water. The roof has been supplied with sand felt for further protection against the elements. 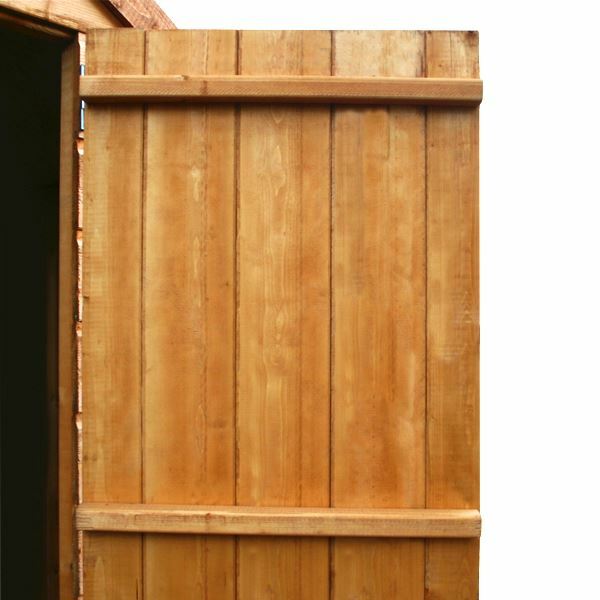 This wooden shed comes with a double door set-up that provides greater convenience for storing larger than average items, a butterfly catch has been supplied to keep the door closed when the shed isn’t in use. Delivery on this building is 14 working days to most UK Mainland addresses. 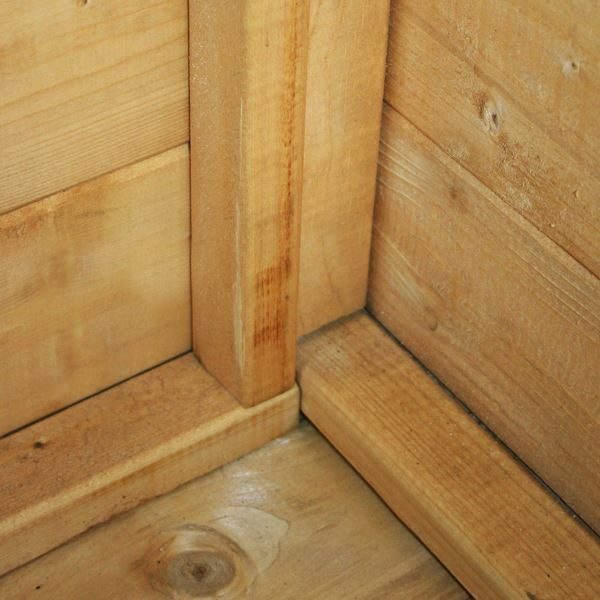 Review:When putting up this shed most of the wood was qarped/ bent which made it hard to line up. The quality of wood not very good and we are missing the final edging trimmings for roof. Our Reply:Good morning,I tried to call earlier and left a voice message which I hope you will be able to pick up later. Please accept my apologies for any inconvenience caused. 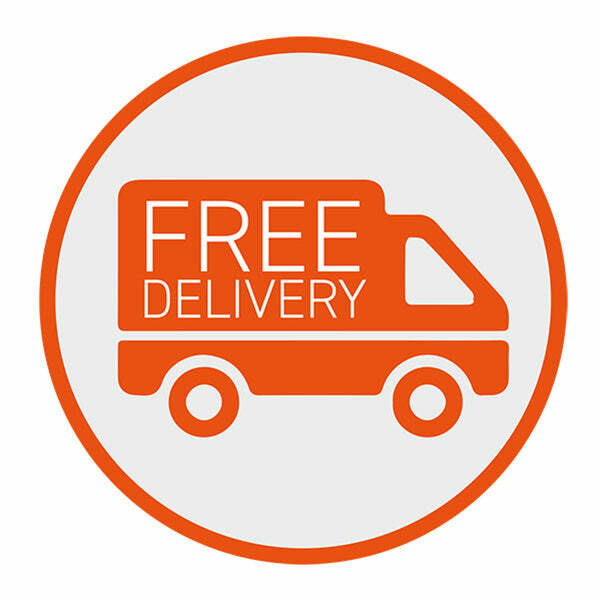 If you can contact us on 0800 029 1000 confirm which parts are missing, we can send replacements. 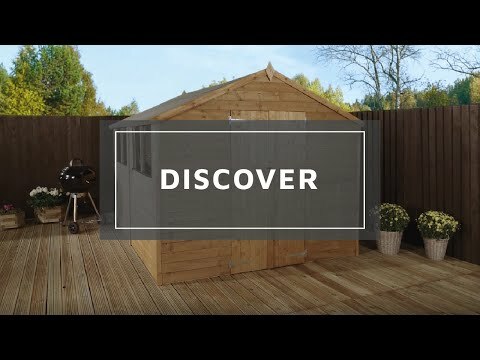 Review:Shed is very flimsy, flooring especially. This was bought as a temporary solution. I guess you get what you pay for. Review:very happy with product overall,although i will be buying some better felt or metal for my roof. Very happy to hear that you are happy with your shed from Waltons. With regards to the felt we do offer some upgrade options and if you would like to purchase some felt we would be more than happy to assist with matching the size. Review:Good value for money. Good instructions easy to assemble with two men. It is great to know that you are pleased with the value for money of your overlap shed and that the good instructions led to a straight forward assembly. Thank you again for your feedback.